Inspired by Dr. Jane Goodall’s message of Hope, Peace and that every single person can make a difference no matter how old they are, the Roots and Shoots Malaysia Award was created to give young Malaysians a platform to gain experience and volunteer with our partners in various fields, related to helping the environment, animals and human communities. As Dr Jane teaches, it’s all about going beyond awareness and taking action. While any person can claim to be aware about a problem – it takes an exceptional individual to actively become part of the solution. This is the spirit of Roots and Shoots. Recognise youths who complete a series of volunteering activities by going beyond awareness. While any person can claim to be aware about a problem, it takes an exceptional individual to recognise their part in the solution and do something about it. Promote the spirit of volunteerism in youths, engaging their hearts in being passionate about an issue/problem, their heads in coming up with a solution, and ultimately their hands in taking action to solve the problem. Deliver a positive impact on the youths of Malaysia by promoting personal growth and the development of skills that will make them a valuable and contributing citizen of planet Earth. The Award is open to all citizens and residents of Malaysia aged 16 to 25. All participants are required to volunteer at at least one partner organisation over a set period of 3 months. The online application period starts on 3rd April 2019 and ends on 30th April 2019. The Award Committee will contact all shortlisted participants for an interview. 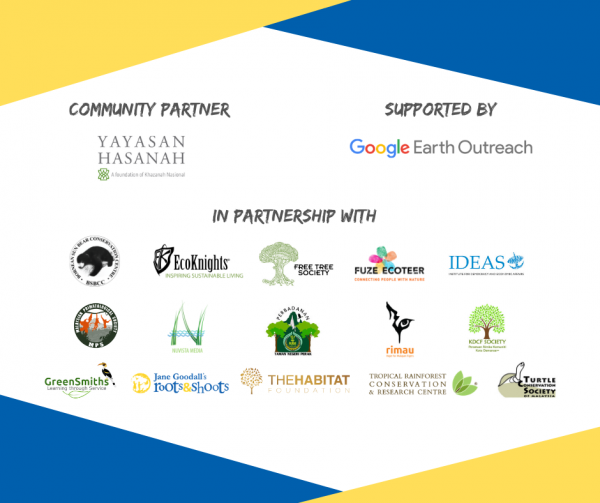 Selected participants will be required to attend a workshop hosted by the Google Earth Outreach team. This will equip the Award participants with key essential insights and tools into Google mapping technology. R&S Malaysia Event: PEACE PICNIC 2018!